Using Colouring as a reflection tool is becoming more and more popular- not just for children but for adults too! 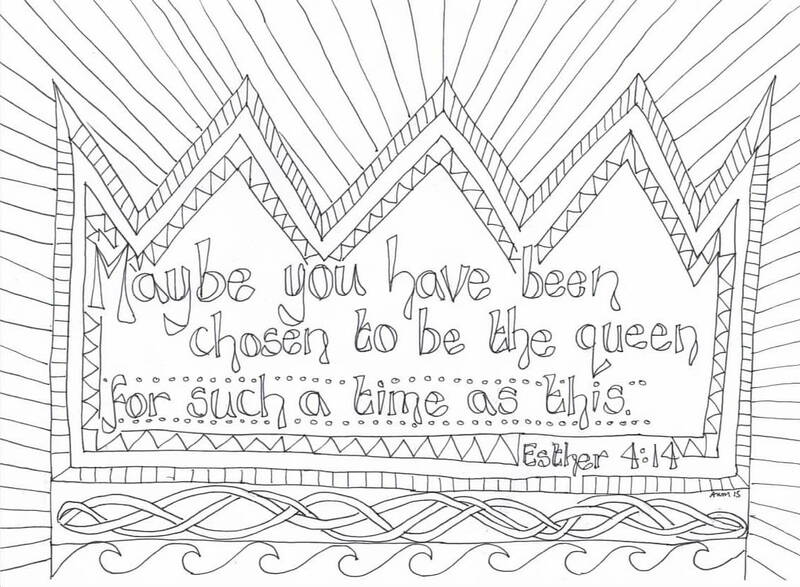 Here is a colouring sheet based on the story of Esther which will help children to reflect on the story and to learn a piece of scripture. It works well to have a quiet atmosphere with, perhaps, some music playing in the background. Encourage children just to colour and to think about the story and the words and images on the page. When the children have finished colouring ask them to share any reflections and be ready to be amazed! Click here to open and print the colouring sheet.